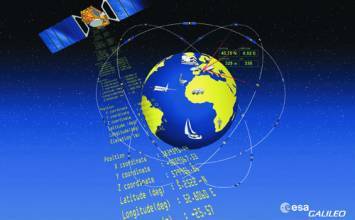 Despite the fact that China’s rapidly developing global navigation satellite system now has seven spacecraft in orbit intermittently broadcasting test signals, it is the only GNSS provider that has not yet published a draft version of its interface control document (ICD), although one has reportedly been completed for more than a year. Against that background, any new source of information about the directions of the Compass design — official, semi-official, or other — draws special attention. 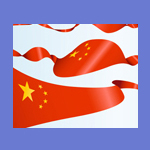 The paper may prove of interest to receiver designers and other hoping to working with signals from the Chinese system. Kou repeated that disclaimer in her January 26 presentation at ION ITM 2011. The latest officially published Compass signal and frequency plan presented at the 2010 International Committee on GNSS (ICG) Providers’ Forum states that the Compass B1-C signal will adopt the same multiplexed binary offset carrier (MBOC) modulation PSD (power spectrum density) as the GPS L1C and Galileo E1 open service signals. 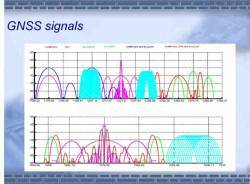 As Kou pointed out, this signal commonality can facilitate GNSS interoperability and compatibility; however, the detailed parameters of the B1-C signal were still under investigation. 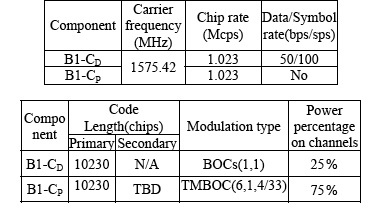 The researchers looked at three different MBOC implementations can fit in the proposed MBOC(6,1,1/11) PSD: TMBOC (time-multiplexed BOC, which the United States has adopted for L1C), CBOC (composite BOC, which is Europe’s solution for the Galileo Open Service), and QMBOC (quadrature multiplexed BOC, proposed by researchers at China’s Qinghua University in 2007). TMBOC produces a spreading waveform containing BOCs(1,1) symbols, interspersed with the appropriate time fraction of BOCs(6,1) spreading symbols. CBOC adds or subtracts BOCs(6,1) spreading symbols at the appropriate power level with BOCs(1,1) spreading symbols and is a weighted linear combination of the two subcarrier components. QMBOC modulates the BOCs(1,1) and BOCs(6,1) components on two carriers with quadrature phase. In assessing the relative benefits of the various MBOC implementations, the Beihang paper explores issues of optimum power sharing between data and pilot channels, data/symbol rate, and ranging code design, including the code length, primary code design, and different locations of BOCs(6,1) symbols in the spreading code sequence. 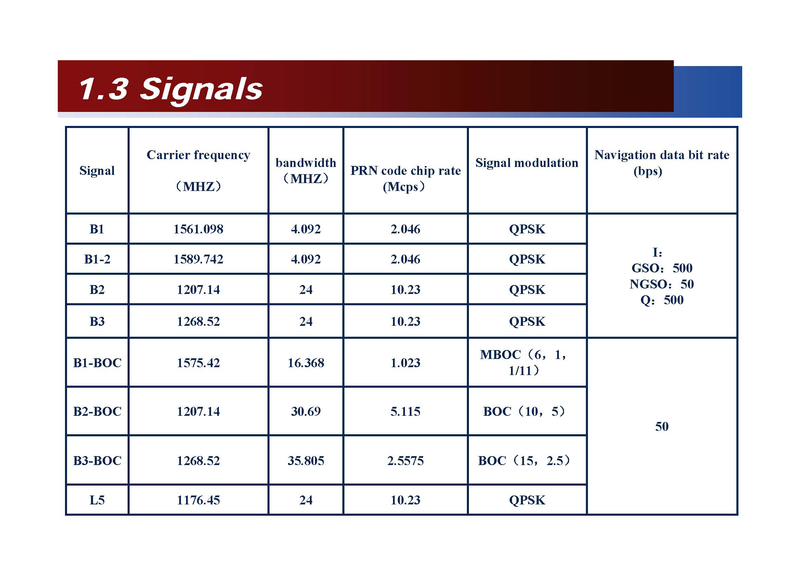 The research compared seven different implementations of MBOC(6,1,1/11) in terms of payload signal generation and receiver signal processing complexity. Simulations of the autocorrelations, code tracking noise, and multipath errors compared three optional configurations of the power-sharing coefficients. The Beihang authors propose a trade-off between the power split of data/pilot channels and navigation data bit/symbol rate for the B1-C signal based on extensive simulations of signal tracking noise and bit error rate (BER) performance using different receiver signal tracking and data demodulation strategies. The authors noted that much work remains to be done on specifying the Compass B1-C signal, including the optimization of ranging codes based on new criteria (such as considerations of the effects of multiplex modulation, Doppler shift and data modulation on the auto/cross correlation functions), optimal overlay/secondary code design for the pilot channel, and pseudorandom noise (PRN) code design, as well as multiplexing with other B1 signal components.